Moisturizing is a critical element in the treatment of eczema. They are found in the form creams, ointments and lotions. Creams contain a mixture of fat and water and feel light and cool to the skin. I have used them on my daughter during the hot summer months and during the day in the winter months. Ointments are very thick and can be very greasy but they are very effective at holding water in the skin and hence are useful for very dry and thickened skin. I use these for Aiyana at night and as a soap substitute while bathing during the dry season. Lotions contain more water and less fat than creams and can be used for moisturizing the skin in case of mild dryness. All of the above may be suitable to be used at various points in time depending on whether a person’s eczema reacts to a specific ingredient or ingredients in an emollient, the humidity and the severity of eczema. Also for eczema (especially in case of children) such moisturizers necessarily have to be non cosmetic and fragrance free since products containing alcohol, perfumes, lanolin, or preservatives tend to cause eczema breakouts. Thus I have used quite a few products on my daughter, some of which are available in India and others are not. These have been recommended not only by her doctors but also by other parents across the world in their blogs and websites. Maybe you will find one here which will work better for your child as well. Over the past few years I have used moisturizer brands like E45 cream, Exomega, Epaderm, Oilatum, Aveeno, Eucerin, California Baby, Mustela, Cetaphil, Burt’s Bees and Pure Potions at various points in time. All these brands are not available here in India as of now. It can be very confusing to know which cream is suitable for your child and even I have learned through trial and error. Although I have tried all the creams that I have mentioned, the ones which I found to have a creamier consistency ( these have seemed to work well with Aiyana) are the oat based ones like Aveeno and Exomega cream. I have used both of these interchangeably depending on their availability in Mumbai. But I had to shift from oat based moisturizers to others since she tested positive to the oat allergen last June in the IgE blood allergy test. Another moisturizer which worked well for her last year is the ubiquitous coconut oil. In fact, when she had developed Erythroderma, we had used coconut oil (Parachute brand suited her better than the organic one) since her skin used to burn if we used any creams at all. It worked well as a moisturizer overall and seemed to really soothe her skin. But it was not as effective during the dry months. Also, Pure Potions amongst the ones I have mentioned has a “skin salvation” ointment which is a thick cream and supposed to have restorative properties and has helped Aiyana to some extent. Currently I am using Hydromol cream on her(I switch to Hydromol ointment during the dry months) which seems to suit her skin and is effective in keeping her skin just moist. I had started using Hydromol Ointment on Aiyana in the dry months (December 2012 onwards) based on a UK-based doctor’s recommendation. I wanted to change her moisturizers to sulphate and paraben free creams (more on this in a separate post) and hence the change. And I have stuck to this brand ever since as it suits her skin. Amongst the other brands of creams, skincare and bath products (bath wash, shampoo, bath emollient) that have worked for her and have been highly recommended by other parents are the organic, sulphate and paraben free ones like California Baby (US), Burt’s Bees (US) and Pure Potions (UK). But these are on the expensive side as compared to the other brands and I have used these sparingly from time to time. The other relatively less expensive mosisturizing bath products I have used in the past which I have found to be good for her are the fragrance free washes and shower/bath emollients from Aveeno, Oilatum and E45 out of which Oilatum is readily available in India. Currently I use California Baby bath products extensively for both my children since I have found them to be very gentle on their skin, especially for my daughter. ( I will elaborate on her skin care routine and her bath routine separately). 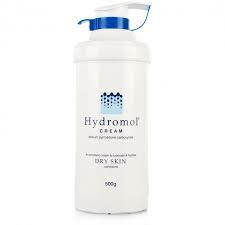 Hydromol range is a UK based brand and is available online at amazon.co.UK through a seller-Mistry’s Pharmacy (all the sellers do not ship to India) as well as all the BOOTS pharmacies in UK. Exomega range of products by Aderma, Cetaphil, Oilatum are available in big pharmacies in Mumbai like Rakhangi Medical( Worli), Asian Chemist (Bandra West) , Sterling Chemist (Pedder Road) amongst others as well as stores like Just Moms (Breach Candy), Green Bell (Juhu) and Amarsons. Other brands like Mustela, Aveeno, Eucerin, California Baby, E45 and Burt’s Bees products are available in stores like Just Moms (in Breach Candy), Green Bell (Juhu) and to some extent Amarsons. Pure Potions and Epaderm range are available on Amazon.co.uk as well as some other websites but may not be shipped to India. I have tried to highlight as many options as possible keeping in mind different budgets. I have also compiled a list of the brands that we have used and their availability in Mumbai…I hope this helps incase you do decide to try any of these for your child. I would love to hear from you about what has worked for your child. Also, please feel free to ask me for any clarifications or any further information. This entry was posted in Eczema, Products, Treatments and tagged body wash, creams, Eczema, emollients, Moisturizer, moisturizers, moisturizing, Mumbai, ointments, products, treatment. Bookmark the permalink. Very informative Tina. Looking forward to reading your blog on the skin care routine. Webinar “Are our children overfed and undernourished? My name is Anindita and I write as a mother of two young children one of whom suffers from a very severe form of Atopic Dermatitis or eczema as it is commonly known. In the past couple of years we have gone through many ups and downs with our daughter’s skin condition and have learned a lot in the process. I know how hard it is for a parent to watch their child suffer and struggle to lead a normal life while dealing with severe eczema especially in India where awareness is still very low about this condition. I hope that by sharing my experience and knowledge as a parent dealing with my child’s eczema I will be able to help other children and their parents. I also run a Support Group for parents in Mumbai for those whose have children with moderate to severe Atopic Dermatitis.